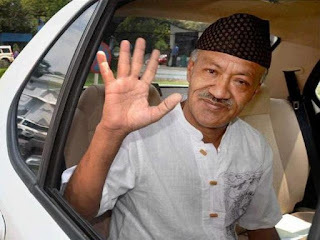 Kalimpong MLA Harka Bahadur Chhetri who had resigned from the Gorkha Janmukti Morcha recently termed party chief Bimal Gurung the most "visionless leader in the hill ever". Responding to the 12.34 minute video, Chettri said: "These people are giving me free publicity." The MLA also said: "He (Gurung) is the most visionless leader in the hill ever. He has no road map for Gorkhaland ... The BJP is not sincere with Gorkhaland." On March 28, 2011, the day of filing nomination, the video shows Chhetri saying: "This (resignation) could also happen the day after we win the election if the necessity arises and Bimal Gurung directs." Today, Chhetri said: "I had said it in the context of the demand of Gorkhaland and that context has been distorted." Gurung had directed the three hills MLAs to resign from the Assembly. While Kurseong MLA Rohit Sharma did so, Trilok Dewan resigned both from the Morcha and the Assembly and Chhetri refused to toe the party line.